Do you lose your keys a lot? I do! But I know how you can never lose your keys again!! 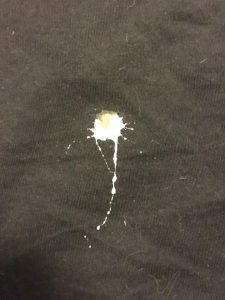 On a side note, to add insult to injury, when I got home and changed my shirt I found a lovely gift from a bird on the back!!! Now, I’m going to swear you to secrecy – don’t tell my son-in-law Brad (because if you do, I’ll deny it!) but I found a spare key in the jewelry box a few day later! SHHHHH!!! But There’s More . . . The Story has a Very Happy Ending! 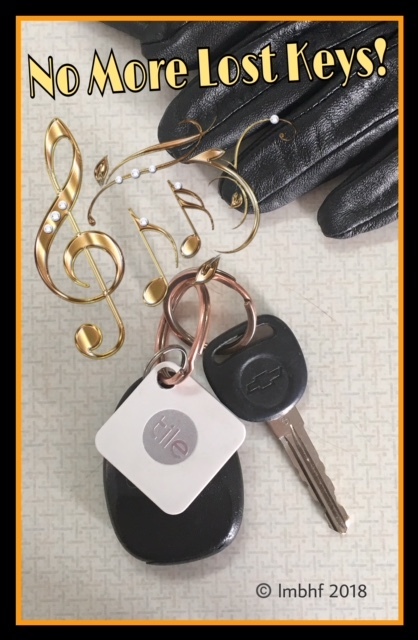 For Christmas my other son-in-law, David, gave me a Tile Mate – Key Finder! It is a little square device that I attached to my key chain. The app that I downloaded to my phone allows me to touch the screen and the Tile attached to my keys plays a little tune allowing me to find them instantly! Now I’ll never lose my keys again! The really awesome thing is, that if I set my phone down somewhere and then can’t remember where it is, I can push the button on the Tile and it will find my phone for me too! My sons-in-law are the greatest guys ever!! If you’re as absent minded as I am, then you need a Tile Mate – Key Finder of your very own. You can get yours on Amazon by clicking the photo or the link below! Then you’ll never lose your keys again! 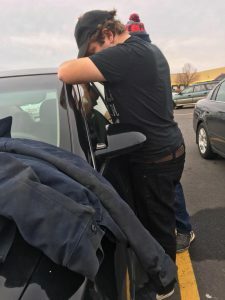 Find your keys, find your phone, find anything!! We had one of those on our cat’s collar for a while – in case she wandered off and we needed to find her. It never really got put to the test, but it was good for our peace of mind! Glad it all came out well in the end for you and your son-in-law (and lovely that he came to your rescue). Awesome son in laws for sure. This is a great story. I need this in my life as when hubs is away I got no family in town to rescue me at all. What a great device. « Magnetic Planners, Calendars and Organizers for the New Year!